Vaping THC: Your How-To Guide - Daily Vaping Deals & The Best Vape Product Reviews at Vaping Cheap! What better way to get high on your concentrates then with a handsome vape pen! There are a variety of forms of cannabis including dry herb, oil, and wax concentrates. THC concentrates make up some of the best parts of the marijuana flower – leading to some really potent stuff, perfect for a relaxing high. There are some great advantages to using THC concentrates and the best way to use them is with a vape pen. Vape pens are perfect for experiencing the cleanest high with concentrates and for really taking in those effects that weed is so well known for. This article is a great “getting started” guide and is great for pairing with the best vape pens list. Get ready to explore what kind of THC concentrates to use, the tools you will need, benefits of using concentrates, and a quick overview of how to use your vape pen. Convenience – using a vape pen makes your sessions portable, convenient for on-the-go vaping. CO2 oil concentrates are best for vape pens and look just like honey or butter. The great thing about concentrates is that you are not just limited to one type and each have their own look, feel, and process for making them. The four different types of concentrates are hash, butane hash oil, kief, and CO2 oil. Kief is comparable to a dust or sand-like texture. It is super potent considering that it is composed of the resin glands from the part of the marijuana flower known as the trichomes which has the strongest concentration of THC. You can find kief usually at the bottom of your grinder after preparing it for your blunt or vape. Hash is pretty much kief but in a brick form. Kief is compacted to form bricks and is equally as potent. CO2 oil has a butter like texture and is made by using pressure and carbon dioxide. It contains the trichomes and terpene qualities of the weed plant – giving it a pungent smell and potent quality. Lastly, there is butane hash oil. This concentrate uses butane as a solvent and contains both THC and CBD with THC counts around 80% – making it a super potent concentrate. Your concentrates – you can use any of the types listed above but do keep in mind that some vape pens work best with certain ones. Your vape pen – there are many types of vape pens available and it comes down to preference. Find one that fits your budget, stands up to wear and tear, looks and feels great, as well as provides the best vape session for you. Vape pens are also great for on-the-go vaping and discreteness. 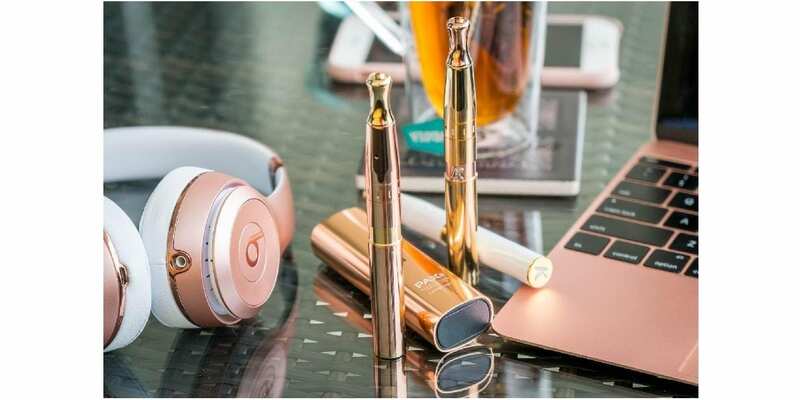 Check out our Best Vape Pen for Wax article to help you make your choice, and we can also help you find great online vape vendors. 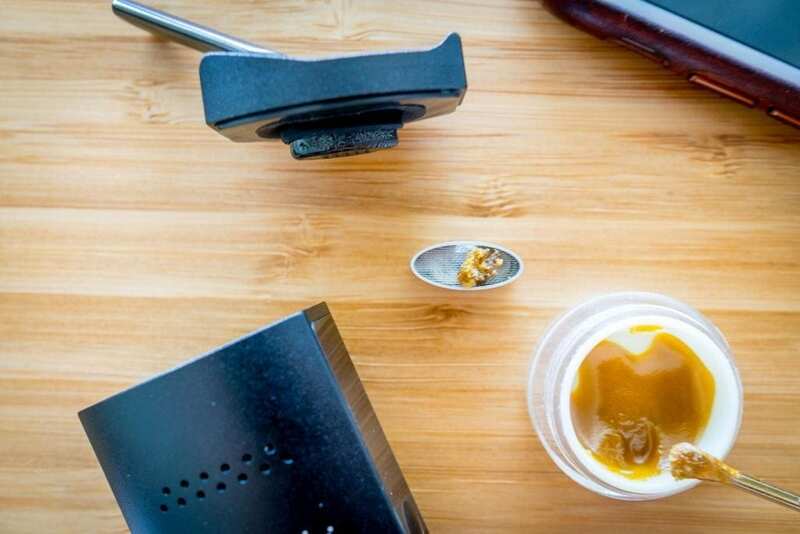 Dab tools – Dab tools are not only useful for carrying your concentrates wherever you go but can help lessen the mess while loading. They are also handy for measuring the right amount of concentrate when prepping your vape pen. It doesn’t take much to get your vape pen ready. Most are simple to use and easy to load. To load your vape pen, just use your dab tool to measure the amount of concentrate you want to use. Remember to not use too much as concentrates are very strong. Next, you want to place it in your vape pen’s chamber. If your vape pen has air holes, be careful to avoid these areas and place in between the holes. If you happen to use shatter, it is useful to break apart before loading. Lastly, replace the chamber, fire up your vape pen, and you are ready to vape! THC concentrates are potent forms of weed and come in many textures. There are benefits to vaping concentrates like a cleaner high, convenience, and discreteness. To get started, you will need your concentrates, your vape pen of choice, and dab tools, if you want to use them. Lastly, loading your vape pen is simple and there is almost no learning curve. It doesn’t take much to get started vaping THC and this quick guide should be useful for getting you well on your way to vaping concentrates like a pro! Interesting article, I wish there was a share button on this page. Thanks for the info on the different concentrates. Wish their were more pics of the different concentrates being placed exactly where they need to go. You say any vape pen can be used with all types of concentrates. I don’t think I can use a SMOK tfv8 baby beast with hash or Keif or even the Co2 oil. This is why I say pics, even step by step pics would be useful. I could be a vape beginner trying to use hash, Keif or even oil concentrates in a regular tank. If this can be done,it’s news to me and I’m very interested in finding out exactly how so I can try it. Thanks again for a great article.